The middle of the week usually comes around & I'm hanging out for the weekend. This week my weekend got brought forward. 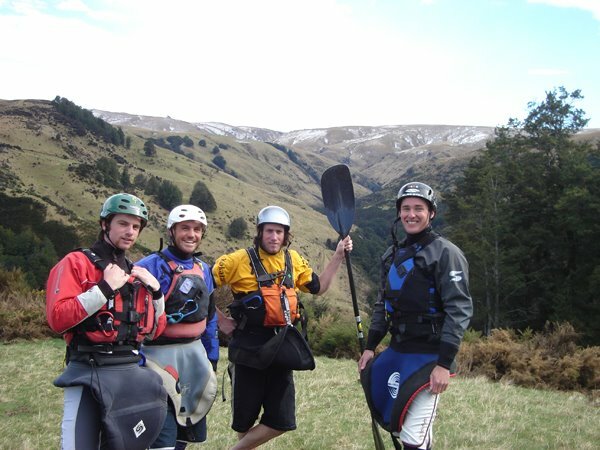 Some quiet banter at the weekend and talk was raised of a mid-week mission to the Waikaia. Levels had been sitting looking reasonable for over a week and a keen crew had been found. Tuesday night saw 4 keen boaters packing into James's Subaru, 4 creek boats & a couple hours driving south to Gore. The cold weather that had been battering the south all Tuesday was gone when we awoke on Wednesday morning. Back into the car and our drive began. Heading out towards Piano Flat & the Waikaia takeout. We had been lucky and obtained the services of a Mr Blake Hanna as a shuttle driver We quickly headed further up the road to the Canton Bridge. 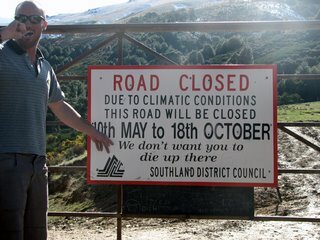 The road to the Waikaia climbs steeply for a long time, we couldn't really believe that over the 12km shuttle drive we had climbed steeply over the entire drive. 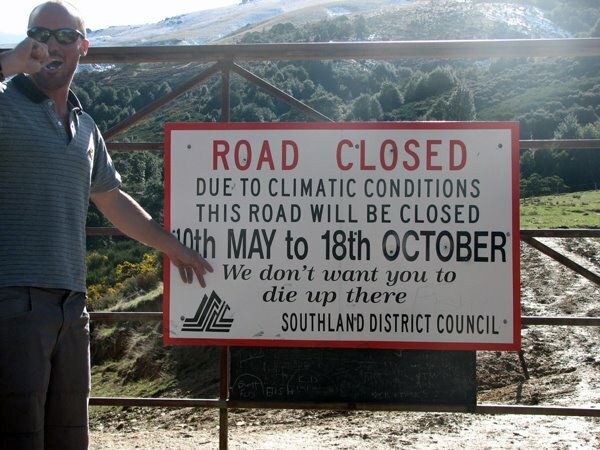 We got to the put-in and were welcomed by a lovely sign from the Southland District Council advising us that "We don't want you to die up there". Blake headed of back down the road & we started the walk down to the put-in. The Waikaia was flowing on the low end of the scale, but as we started paddling the scenery was amazing as we made our way down to the 1st scout of the day. 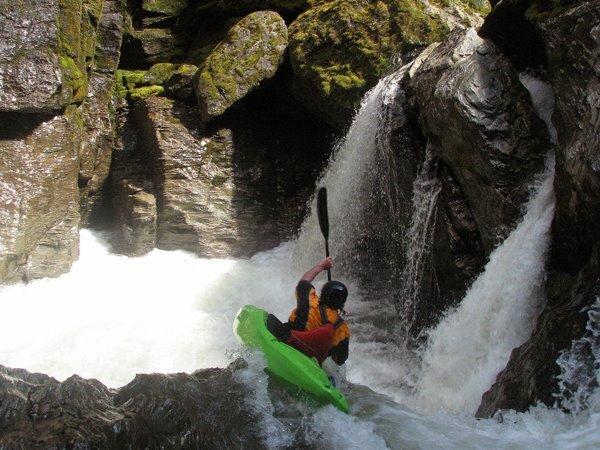 1st up - paddle in between two large chockstones pop out the otherside a few strokes and over a 4-5m drop. 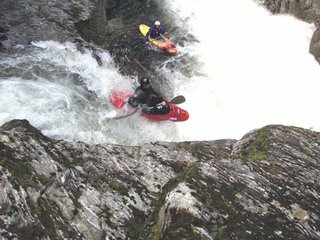 The rapids were seperated by short-long flat pools and then it would steepen up quickly and the water was filled with massive boulders creating drops, sieves, slides, portages. Everything that can be on a river was there. A few mandatory portages, one I should have portaged.... and good times on a new run for us all. 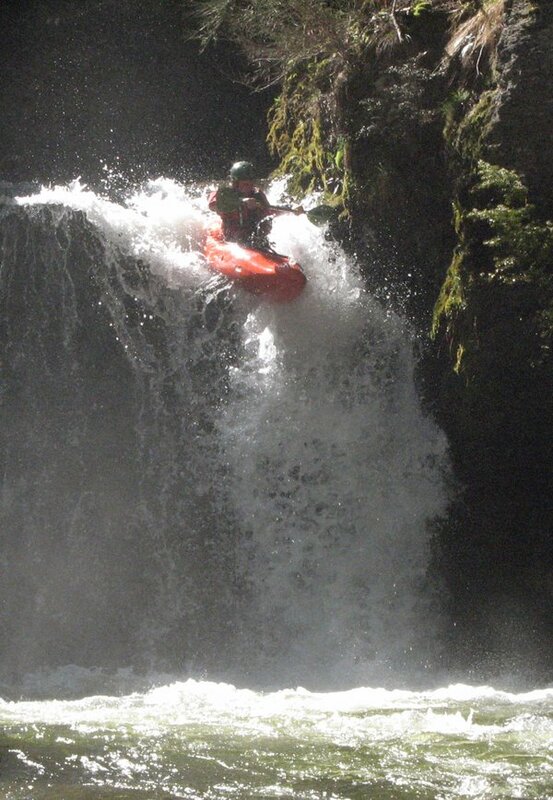 We eventually got to what we think is the "Waterfall of Death" a 2m drop into a 4m drop. It was clean and ready to go. The paparazzi popped up (Dylan & myself) and worked on getting some still shots & video. Working some funky angles it was a great bit of fun. An awesome day out, a little more water and the run would be stunning. Can't complain though it was a Wednesday and we all probably should have been studying.